Can detect "Greenhouse Gases" with an estimated atmospheric lifetime of 3,200 years. It can also detect more than 20 other gases in addition to SF6 - ideal for the utility industry and other manufacturing. 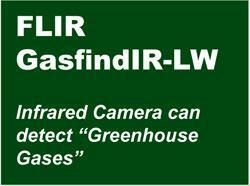 Based on a unique, patent-pending technology, FLIR’s GasFindIR-LW is a one-of-a-kind infrared camera designed to help the U.S. Environmental Agency and utility companies to better control Sulfur Hexafluoride (SF6) emissions in order to preserve the environment now and for future generations. In addition to the "greenhouse gas" SF6, the versatile GasFindIR-LW can also detect more than 20 other gases floating in the atmosphere. Boston, MA - FLIR Systems, the global leader in infrared cameras, has announced its latest in ground-breaking infrared technology - the ThermaCAM® GasFindIR-LW infrared camera. Based on a first-of-its-kind, patent-pending technology, the GasFindIR-LW can detect Sulfur Hexafluoride (SF6), the colorless, odorless, nontoxic, and nonflammable "greenhouse gas" that is used as an insulator in high voltage equipment by the electric utility industry. SF6, although considered to be an excellent dielectric gas, has been targeted for emissions reductions by the U.S. Environmental Protection Agency because pound for pound, Sulfur Hexafluoride contributes more to the greenhouse effect than any other gas. In fact, one pound of SF6 has the same global warming impact of 11 tons of CO2. It has 23,900 times the global warming potential of CO2 and has an atmospheric lifetime of 3,200 years. 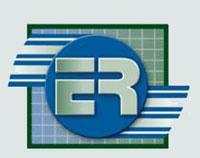 Together, the EPA and many of the major utilities companies are working to find ways to better control SF6 emissions to help to preserve the earth. 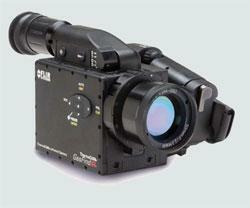 FLIR’ s revolutionary GasFindIR-LW is lightweight, ergonomic, and easy to operate. It weighs only 4.6 pounds and is powered by a camcorder battery. The GasFindIR-LW enables thermographers to find SF6 gas leaks up to hundreds of feet away quickly and easily. Capable of scanning large areas, the GasFindIR-LW delivers real-time, high resolution thermal images of gas leaks that can be displayed on a standard TV or recorded digitally using the latest real time digital recording technology.